The strange part about all of this is Heidi is all the way up past San Francisco with the kids on vacation. It must be nice for her with the kids and all the wonderful stuff they are doing using my money. I just pray they don’t die up there! 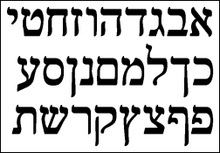 Tomorrow is starting Hebrew and keeping that part in motion. It’s a strange reality to be learning dead languages, but it’s part of my new reality. I’ve met a number of people who live here and some seem really nice. Others are a bit introverted. It’s the time of season where I don’t have a girlfriend or someone special in my life. Maybe one day God will grant me someone to be in my life. If not, then more time for service and sacrifice for Him. I would still prefer to have someone special in my life, but maybe that is not meant to be. Maybe tomorrow I can buy my guitar after church? Maybe there is a reason for everything. Right now I don’t see a lot of difference in my reality, but maybe things will change soon. That’s my ultimate hope!